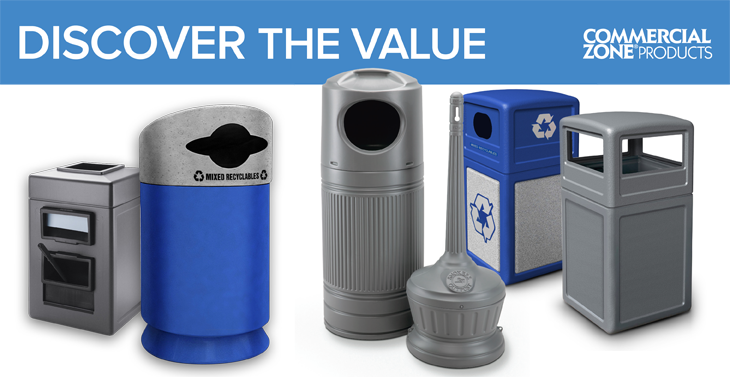 For over 50 years, Commercial Zone has been designing and manufacturing the highest quality litter solutions. 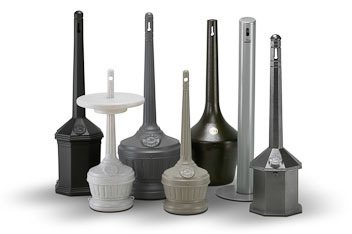 Their extensive line ranges from trash cans, recycling bins, planters and windshield services centers in various sizes, colors and materials. Commercial Zone's goal is to design every product to make sure it not only looks and functions great, but easy to maintain and is durable for a long service life giving you the best value. A visually appealing environment creates a positive reflection of your business. Commercial Zone understands the importance of blending functionality with style to deliver outstanding value that meets your needs. At Commercial Zone, we take the key core values, market research and consumer insight to develop innovative solutions to enhance the overall appearance, strengthen the brand image and drive increased traffic to generate sales. Throughout the design process, we work closely with our customer on every aspect to ensure the solution complements your style and fits within your desired budget. For over 50 years, Commercial Zone, a division of DCI Marketing, has been designing and manufacturing the highest quality site furnishing solutions to some of the world's most successful retail, convenience store, restaurant and hotel companies. We have the experience necessary to ensure that every product not only looks and functions great, but is durable to withstand the environment for which it was designed.